I'm lying flat on my back in a vineyard feeling rather intoxicated. But, before you judge, it's not what you think. During a whistle-stop tour of South Africa's Cape , I've stopped at Babylonstoren, a winery housed in one of the region's oldest Cape Dutch farms, slap bang in the middle of Stellenbosch, Franschhoek and Paarl. And it's here I find myself lying down, staring at the sky on a spongy lawn of chamomile, during a tour of their gardens, with head gardener Liesl van der Walt. I love this woman. She looks every bit the part in her wide-rimmed hat and gardener's apron. And her passion for nature is infectious. "Breathe in the figs", "caress the cacti," she says, plucking fresh fruit from the trees. We're encouraged to lie down and "close your eyes and breathe." I imagined many potential scenarios on this trip: slurring my words in a tasting room, crashing out fully clothed… But being intoxicated by daisies? Nope. Yet here I am feeling positively high on nature. The thing is, Babylonstoren and its wholesome philosophy seems to have that affect on you, and our jaws hit the floor when we pull into the car park and see the backdrop for the first time. 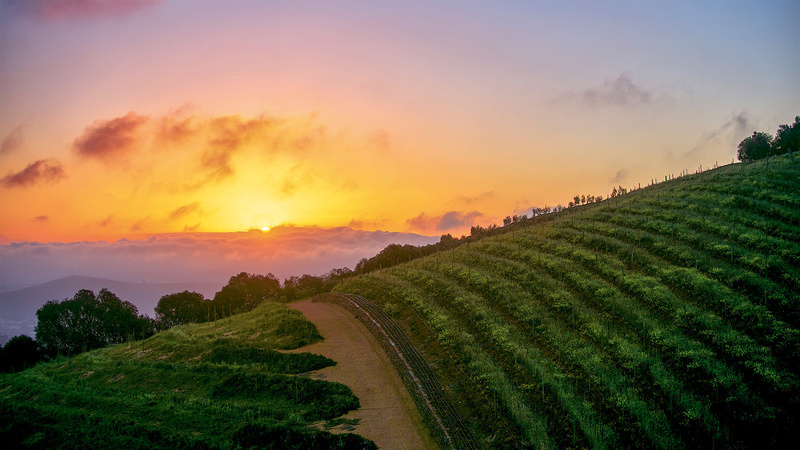 The beauty of the Simonsberg slopes – where they grow their tip-top chardonnay and pinot noir grapes – and the conical hill, which 17th century Dutch farmers named Babilonische Tooren (after the biblical Tower of Babel) verges on the absurd. We drop our bags in our room, which is set within a traditional Cape Dutch farm building, and then make a beeline straight for the wine cellars. "I was tripping over everything like someone who'd drank the whole tank of wine," quips Janene, who leads our cellar tour. I assume she's recalling a night of one too many chardonnays, however she's explaining the intoxicating effect of their fermentation tanks during winemaking season. While in the past, winemakers squelched their feet in the grapes to 'break the cake' (the thick layer of grape skins at the top of the barrel), these days they use a kind of steel 'spade'. Too long around this fermenting fruit and you can feel like you've been on the plonk. "I had to go to church and my eyes were so red, they thought that I'd been drinking" Janene laughs. "After a whole day at work you can feel a bit light-headed." This place clearly doesn't take itself too seriously. But as we quaff glasses of their strawberry yoghurt-like Mourvèdre Rosé, and their signature Babel, we begin to understand its fairly new prestige. That night, we dine in the estate's farm-to-fork restaurant Babel. Vegetable croutons, crunchy salads and miso-marinated chicken with a piquant kimchi appear to tick off all colours of the rainbow. It's not yawn-worthily virtuous here (the candy floss dessert is testament to that), but their 'pick, clean and serve' philosophy proves that sometimes, food is best served in its most natural form. The next stop is Franschhoek, the so-called 'granddaddy of viticulture' where the French settled in the 1600s. Now dubbed the 'gourmet capital of South Africa', it's also where myriad biltong shops, wine bars and chocolatiers tempt you to over-indulge. We check into the Leeu Estates, a working wine farm and flagship property of the Leeu Collection. Nostrils and tastebuds at the ready, we try some silky syrah and a soft chenin 'Old Vines' from the Mullineux & Leeu Family Wines collection. And while this winery 'rips up the rulebook' by blending grapes from seven sustainable farmers across Swartland, it's clearly doing something right. Twice they've picked up the Platter's Wine Guide award for the best winery in South Africa. 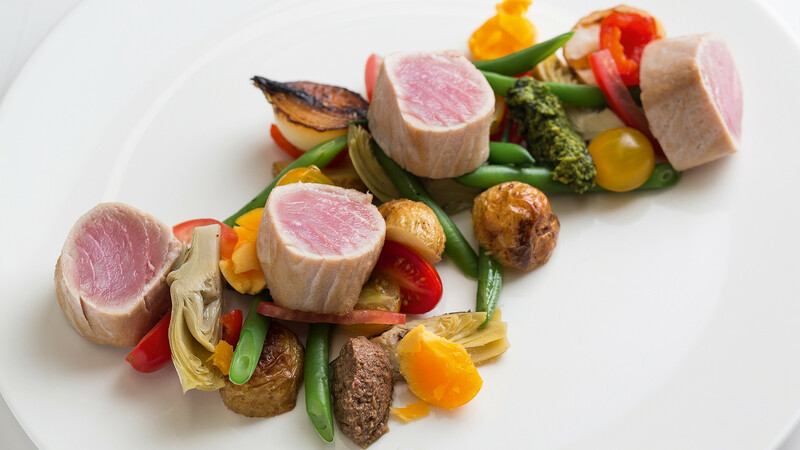 We spend our evening in Leeu Estates' The Dining Room, where British chef Oliver Cattermole is at the helm. He seems a chap of few words, but his crispy-skinned salmon with earthy aubergine purée and olive salsa totally speaks my language. My evening ends with an apple terrine topped with unctuous salted caramel sauce, and a cheeky glass of their sweet-as-nectar Olerasay straw wine. 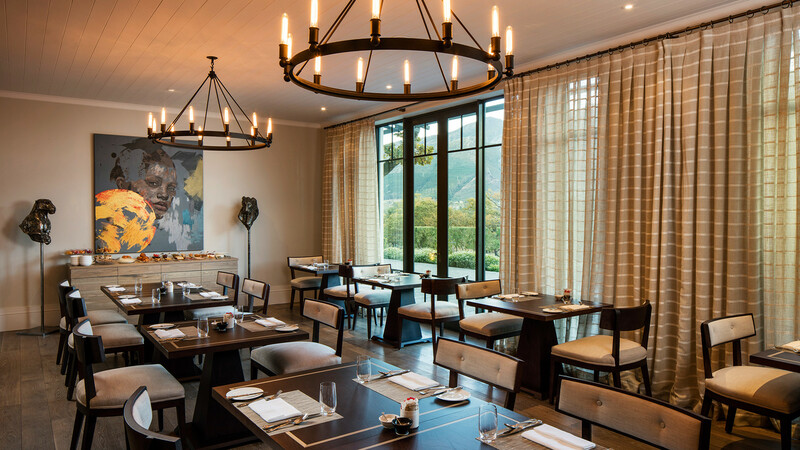 Franschhoek boasts a healthy selection of top-rated restaurants. 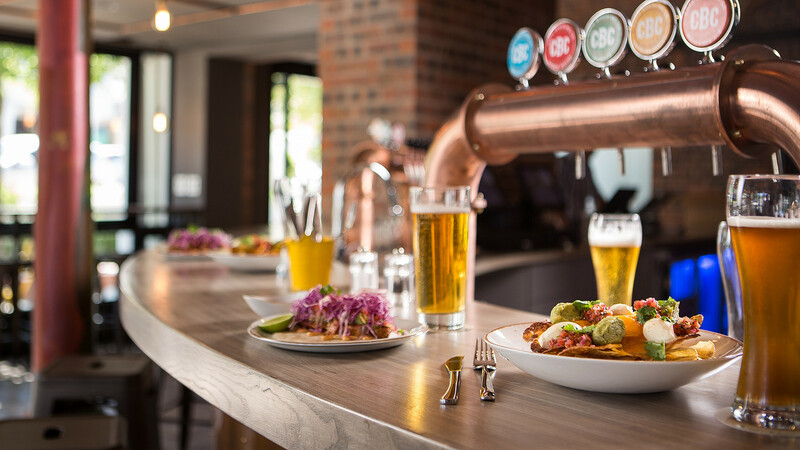 But what we don't expect to find in this quaint town is part-microbrewery-part-Mexican-eatery Tuk Tuk, which serves craft beers produced on site and by The Cape Brewing Company. 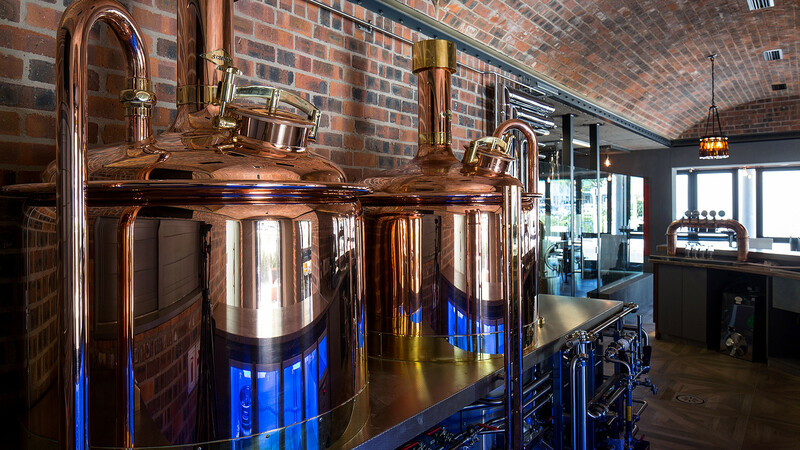 We drop in for a tour with Brew master Dewald Goosen, who proudly describes his office as a "very nice little brewery on steroids". "People are definitely surprised but at the same time very welcoming to the concept," he says. "We have to get rid of the idea that it's a craft beer, and that it's supposed to look, taste and smell like that. 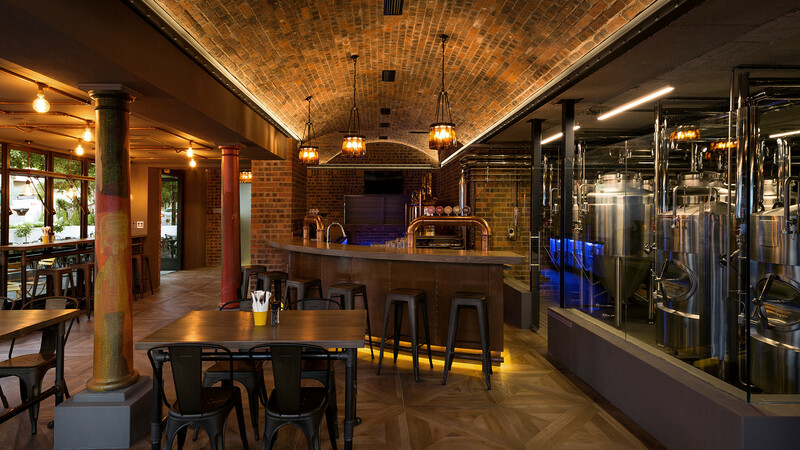 I'm trying to promote the idea that beer can be just as complex as wine"
This year, Dewald will unveil a 'sipping beer' that's been barreled for 18 months. "It will have a 12% volume and needs this time to mellow out," he says, "It will be served like champagne." You heard it here first. 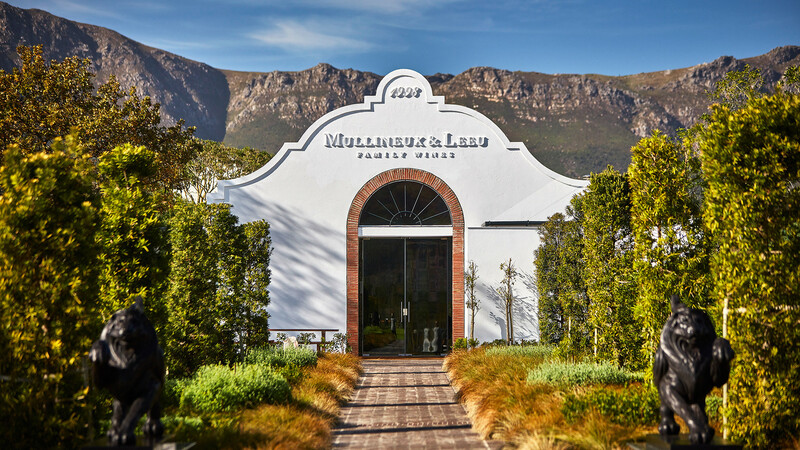 The signs of innovation in this wine region keep unravelling, especially when we stop by The Tasting Room at Le Quartier Francais – a restaurant that's frequently listed as one of the country's very best. Highlights here include pork belly drizzled with fynbos-infused caramel and a plate of what I can only describe as beetroot 'bubbles' sprinkled with spekboom. Those who don't like the surprise menu concept should keep their distance but I'm completely won over by the theatrical waiters and kookiness of this place. Go now before it closes this August. 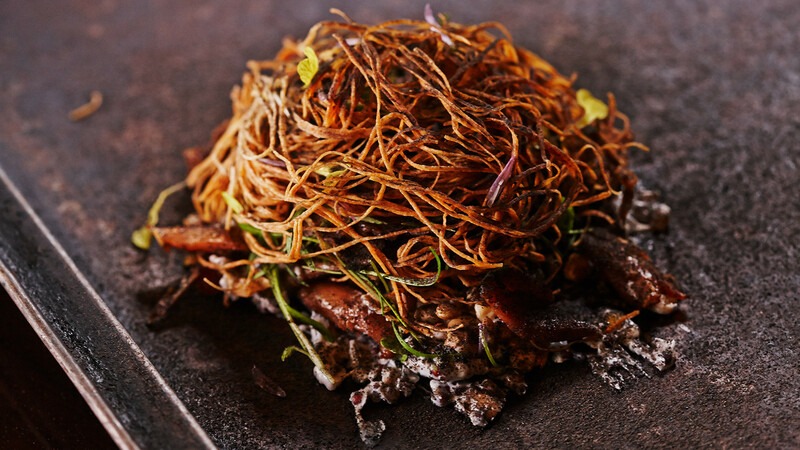 Or failing that, try out its replacement, set to be led by no other than the team behind the acclaimed La Colombe. After a day of fasting following the previous day's excess (OK, I lie), we arrive at Jordan Wine Estate – a winery at the upper end of Stellenbosch Kloof that produces a large collection of accessible New World wine. Husband and wife duo Kathy and Gary run the High Timber restaurant in London. So I'm excited to dine in the Jordan restaurant, headed up by George Jardine. I dunk a delicious South African vetkoek (or 'fatcake') into a steaming hot bowl of mussels and savour every mouthful of a delicious trio of roasted boerbok. It's a cool place to spend a few days enjoying their 'wine safaris' and we drop into the nearby Roots 44 Market to hang out with wine-swilling boho types and suss out the hype around Audacia winery's rooibos tea wine. There's one final stop I want to make before I bid goodbye to the vineyards. 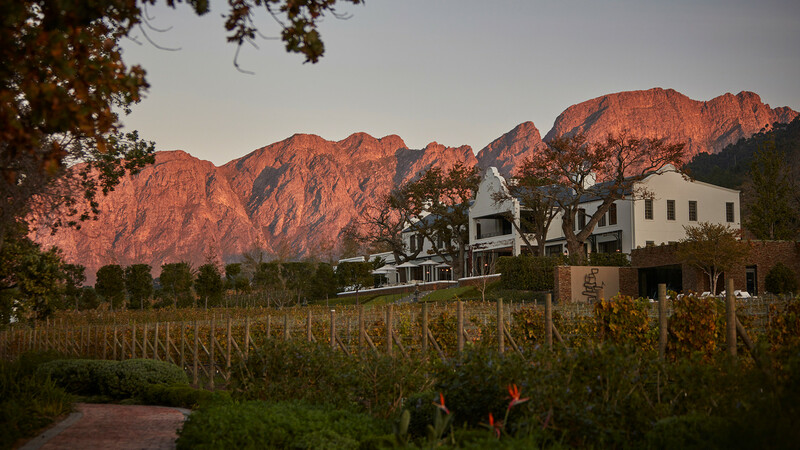 It's Delaire Graff, an estate just outside of Stellenbosch whose hilltop restaurant alone delivers the wow factor. And aside from its jolly good wine and fabulously artistic food, there's one thing we take away from this sophisticated spot – our waiter Danny's description of the chenin blanc Swartland Reserve. "I guess it smells a little bit like smelly socks," he says. And there you go. I leave the Cape Winelands for the Mother City, having learned a few things about this place: it doesn't take itself too seriously; it often rips up the rulebooks and it never fails to surprise. I hope I haven't put you off your wine.